Our overall vision is based on Christ as our Cornerstone and learning as our focus..
We strive to be a learning community, rooted in the teaching of Christ. We aim to reflect and share the love of God in our service and worship. Our desire is to provide an inspirational education which engages, challenges and nurtures our students so that they may live life to the full, now and in the future. As a joint Roman Catholic and Church of England Secondary School we offer many opportunities for students, staff and our wider community to experience the breadth of this vision. These include assemblies, prayer opportunities, Christian teaching and fellowship. Each school day involves a collective act of worship (assembly) based on the theme of the week. These assemblies are co-ordinated to include opportunities to meet together as a year group at least once a week. We hold services to celebrate the major Christian Festivals. During some of these services we share Holy Communion together to remember our unity in Christ. There is an option to celebrate the Holy Mass for the Catholic students. Members of all Christian denominations, including staff and students who receive communion in their own church are welcome to receive Holy Communion with us in the Anglican Service. Otherwise we warmly invite everyone to come for a blessing. The chaplain and chaplaincy team are here for advice if you are unsure what to do. St Cuthbert Mayne is an International Cross of Nails School (ICONS) in recognition of our commitment to reconciliation and bridge-building within the school and beyond. The Cross of Nails came from the devastation of Coventry Cathedral during World War 2, but the city turned the feelings of revenge and anger and into forgiveness and peace. ICONS is a network of schools and communities that are part of the Community of the Cross of Nails. Schools which evidence reconciliation as part of their life and ethos are encouraged to apply to join ICONS. We joined in 2013 and have been growing from strength to strength in our hunger and desire for reconciliation. A selected class each week gets a chance to attend a service of reconciliation every Friday. This year our reflection is on the aspect of forgiveness. In our time together, some students have found it helpful to share how they have been forgiven and their experience of forgiveness. There is power in reconciliation and as a school we count it of highest importance that relationships between students, staff, parents and friends be truly restored. The area known as the ‘Cornerstone’ includes the Chapel which is a beautiful space found in the Plymouth block before Reception with a view over the Old History Block. (A Cornerstone is an architectural term used in the Bible to describe Jesus as the chief foundation stone of the church on which everything else depends.) ‘The Cornerstone’ is open throughout the school day for reflection, reconciliation, dialogue and reconnection for both students and staff. At least 1 in 20 students will come to the Cornerstone in any given day. It is a place of welcome for all. We are a team of Christians from different churches who are united in our desire to serve all those who share life with this community. 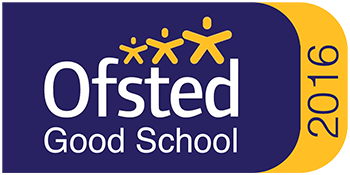 We work alongside all other departments in the school to facilitate the best student experiences and staff satisfaction. Our team provides an atmosphere that encourages personal reflection, an appreciation of the spiritual dimension of life and the living out of Christian values. We walk alongside parents, carers, staff and students during the changing seasons of life. On a weekly basis you may see some but not all of us. Should you wish to meet anyone in particular then please do get in touch. JUMP Team. JUMP is an acronym for Jesus Understands Me Personally. A number of students are involved in the JUMP team. They go out to primary schools to lead school assemblies. We have engaged with over 11 primary schools in this calendar year. Peer to Peer Support. Students are at times the best support for other students. We have Cornerstone Captains who are willing to listen to other students and support them with aspects that they find challenging in the school life. These Captains are also our young carers’ champions. LiNX. We enjoy working with LiNX Christian Youth Trust. LiNX offers mentoring for a number of our students. 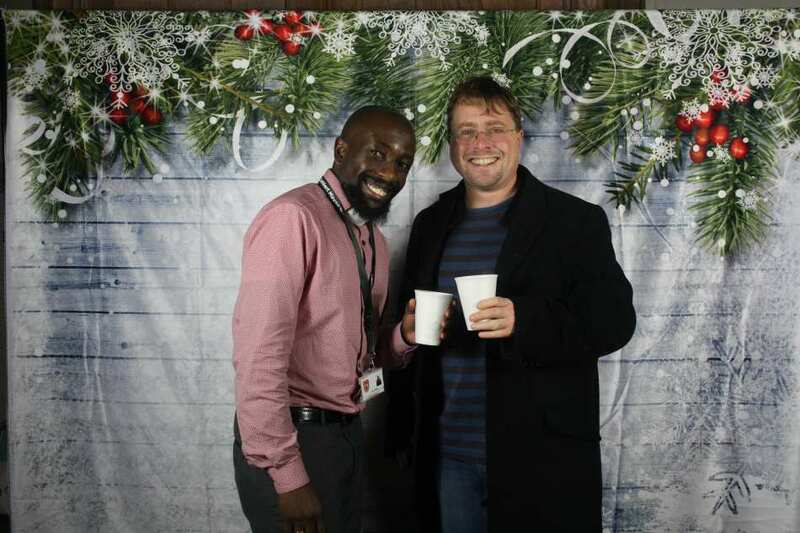 Alongside mentoring engagements they also run our Wednesday Christian Union. Recently, they enabled LZ7 being with us for a full day. LZ7 is a band with relevance and honesty in their music. The band draws from their own experiences and lives to share a message with deep meaning and hope in a way that fully engages young people. We are growing in collaboration with Scripture union and Toby Chant the Regional coordinator. We have inaugurated a multi activity summer camp that takes place the last week of the summer holidays. 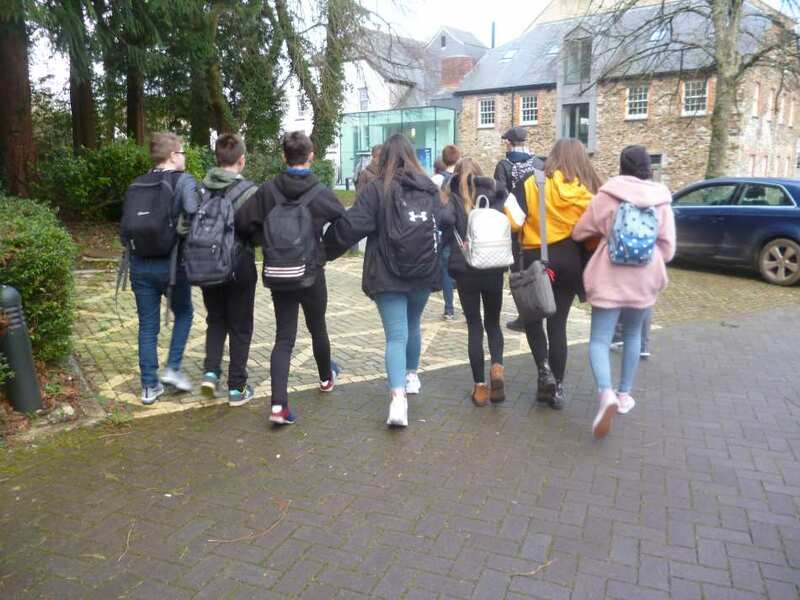 Once again our Students and Staff from Year 7 and Year 8 enjoyed their time at Buckfast Abbey as part of the Re-connect, Re Imagine week. The Team at Buckfast Abbey in the Education department put on a very enriching trip. We were truly thankful having partnered with Linx Youth Trust and Scripture union to facilitate opportunities for growth for all those students who came. We look forward to it again next year. 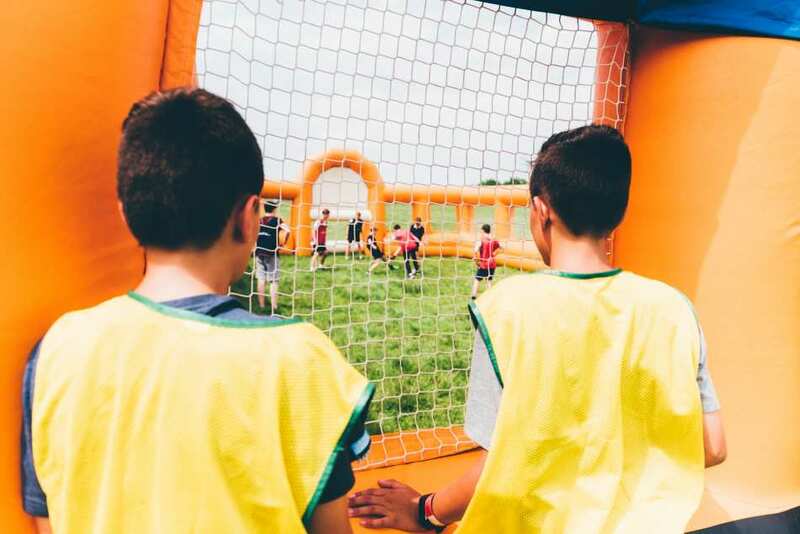 BCDO is the UK’s largest annual Christian gathering of about 30,000 for 2 exciting days of camping, food, outdoor sports, Christian music and celebration on two locations. It is held on two sites- Wiston House in West Sussex and Capesthorne Hall in Cheshire. We had a great trip to BCDO in 2018 to Wiston House with both staff and students as well as families and friends of the St Cuthbert Mayne Community. We value positive relationships but often do not have opportunities to engage with parents and carers on matters that do not pertain to their children. In our bid to develop our relationship with families, we have decided to go to Big Church Day Out again in 2019. 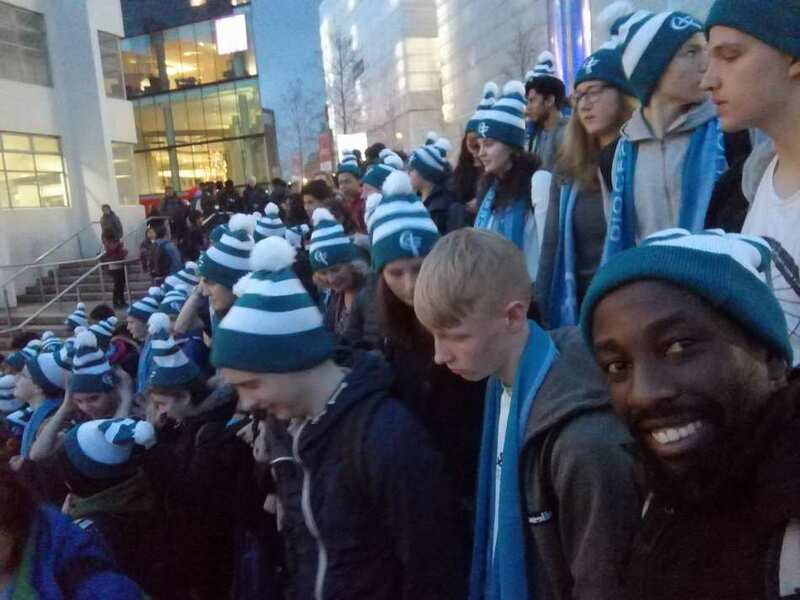 In March 2019 the Chaplaincy team and St Cuthbert Mayne Students joined over 3 buses packed with young people from Plymouth diocese to Flame which was held at the SSE Arena at Wembley. Flame 2019 is a youth event expected to attract 10,000 young people with inspirational speakers and musicians. Whilst the event is organised by the Catholic church, the speakers and musicians are from various churches and include Robert Madu from the USA, Guvna B, Tim Hughes and Cardinal Vincent Nichols. The theme of the day was #Significance. So often social media ‘likes’ can determine self esteem and Flame2019 sought to explore what really makes lives significant. Robert Madu’s message and Guvna B were standout for the students.